This course explains in a step-by-step manner the function, structure and protocols of wireless and wired networks. In the beginning you will be introduced to cabling systems for wired networks, in particular cable speeds and types and twisted-pair cables. You will learn about the different tools needed to make connections between RJ45 jacks and patch panels. You will learn the details about the structure of Internet Protocol addresses, including IP classes and Ranges. You will learn to compare and contrast the function and structure of IPv4 and IPv6 addresses, and also learn about the role of DNS server and Default Gateway in networking. Finally, the course will introduce you to basic TCP/IP tools such as ipconfig, ping and command prompt, and their use will be demonstrated. Next, you the course introduces more advanced TCP/IP tools such as Nslookup, Netsh, Netstat, Telnet, NbtStat and Pathping. These tools and their uses will also be demonstrated. This course will be very interesting to all learners who would like to know more about computer networking, in particular the function and structure of wireless and wired networks and their protocols. 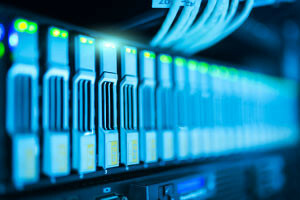 It will also be of use to those considering computer networking as a career or who are interested in doing professional computer networking exams. List cable speeds and the cable types. List the IP Ranges and their classes. Describe the role of Default gateway and DNS server in networking. Compare and contrast IPv4 versus IPv6 addresses.